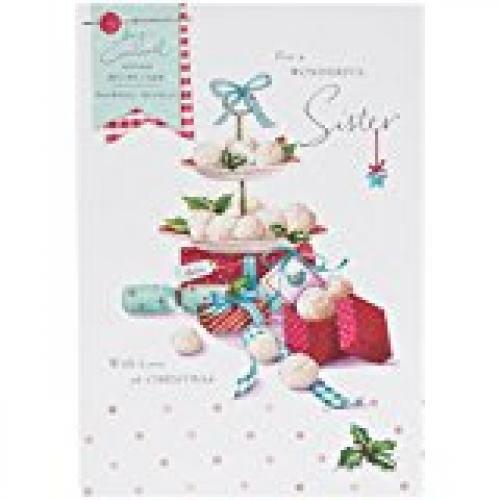 Beautiful card finished with glitter, it contains a recipe card for snowball truffles. The wording inside reads "Christmas and family just seem to go together- and neither of them would be complete without a lovely sister like you. Happy Christmas".